I’m not quite sure how I did it, but I was low-carb for the last two years of my college life. I know… I constantly ask myself HOW??! During this time, I had short lived tech support job at the campus computer lab. This was over 13 years ago so the internet was a different beast. At that time, I was obsessed with changing my Winamp skins and downloading TV-show theme songs on Napster. 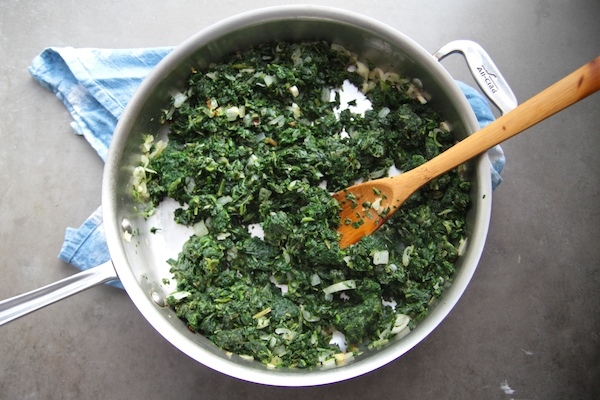 While I was sitting in the computer lab, I remember having some weird/random craving for creamed spinach and I spent one of my whole shifts looking for a good recipe online. That was one of the first things I made from the internet. The image of me following directions that I printed OFF THE COMPUTER in my little college apartment is somehow burned into my brain. And here we are now… I have a food blog and have been making this dish for 13+ years. If you’ve listened to one of our old podcasts, I think I talked about the period of my life where I ate creamed spinach like it was going out of style. THIS IS THE CREAMED SPINACH I WAS TALKING ABOUT. Over the years I’ve made so many versions. I’ve added shrimp and pesto. Sometimes mushrooms make an appearance. I made it with artichoke hearts and that went over well because it was kind of like a warm artichoke spinach dip. I’ve used some as a stuffing for meat dishes and I think there was a time where I mixed in some marinara and served it with chicken parmesan. I have a tendency to make things repeatedly until I get sick of them. 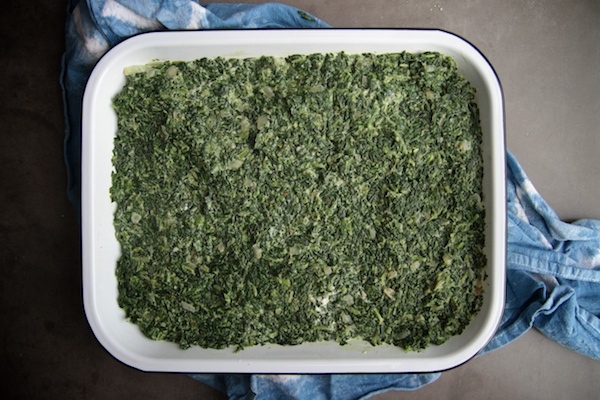 As a result, this creamed spinach recipe has been a once a year dish for Thanksgiving but after making this batch yesterday and it NOT being Thanksgiving (YET) I’m thinking it might need to be added back into the rotation. There’s something about churning out a huge vat of food and making a whole dinner that has the power to turn you off from making/eating something. You know what I’m saying? 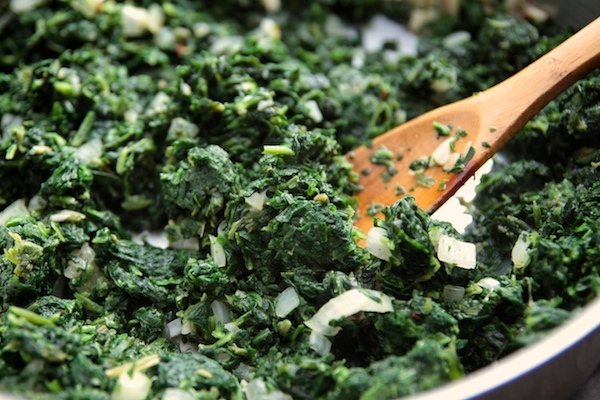 For this recipe, I always use frozen chopped spinach because I love the texture and the ease. 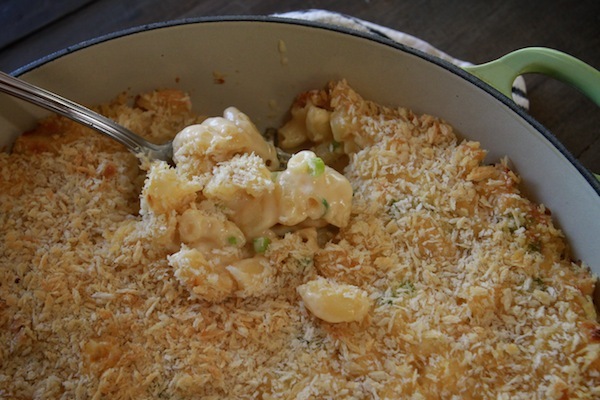 The creaminess comes from the marriage of cream cheese and Parmesan. I have to say that during the Thanksgiving crunch, the creamed spinach dish sometimes gets left in the oven too long and there’s a nice crispy Parmesan crust that forms. I don’t mind. In fact, I’m 100% into it. Ingredient gathering! I forgot to put salt & pepper into the frame. Oops. 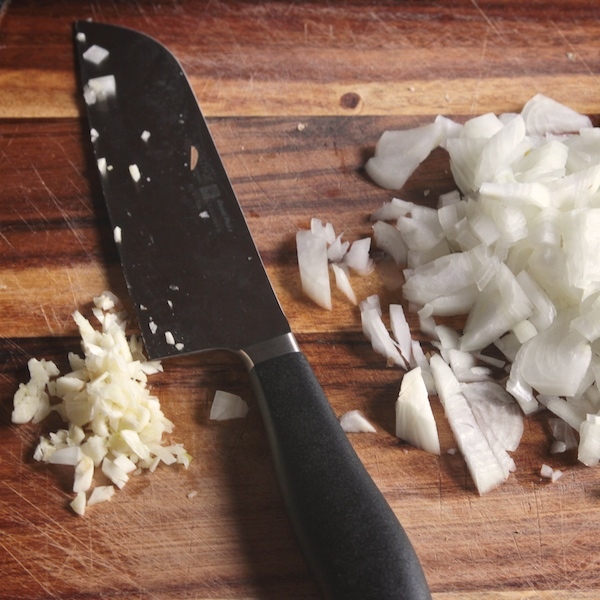 Onion & garlic CHOP. I just got this new knife and it’s so sharp I almost cut my finger off. Add the garlic & red pepper flakes. STIR! Now we add in the frozen spinach. We’re using three bags so I do a bag at a time. I find that the bagged spinach is much easier to thaw than the square chunk packages of spinach. The process isn’t really about COOKING the spinach. It’s about making it unfrozen. Cut up the cream cheese! Let the little blocks sit in the spinach mixture over the heat for about 5 minutes. We want to melt down the cream cheese. Nutmeg is mixed in. 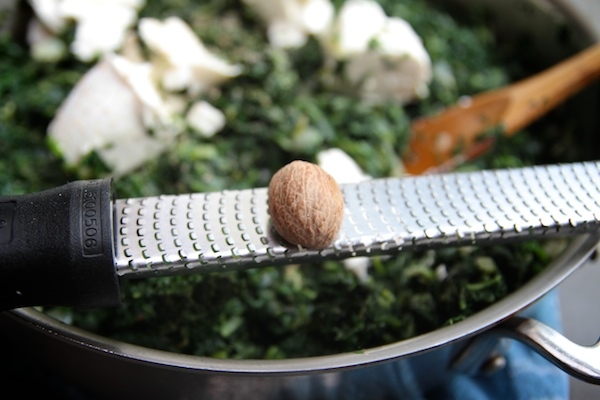 It’s the key to good creamed spinach, huh? Sometimes I forget about it. It’s cool though. We’re on our way to CREAMY creamed spinach. Transfer to a 9 x 13 inch baking dish. Look at those edges and the melty cheese! We have this instead of green beans at our Thanksgiving table. Maybe you’ll try it for yours?! Melt butter in a large skillet over medium-high heat. 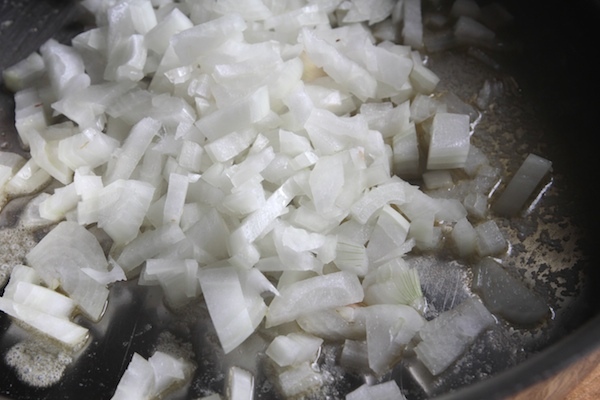 Add onions and cook until translucent, about 4-5 minutes. Stir in garlic and red pepper flakes and cook for another minute. 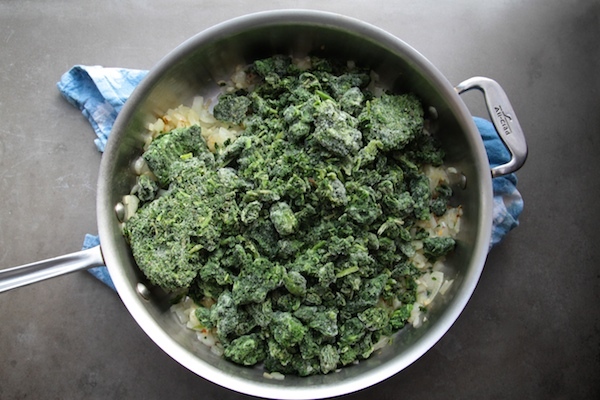 Add one package of frozen spinach at a time to the skillet and cook until spinach is completely thawed. Continue process until all packages are used; this should take about 15 minutes. 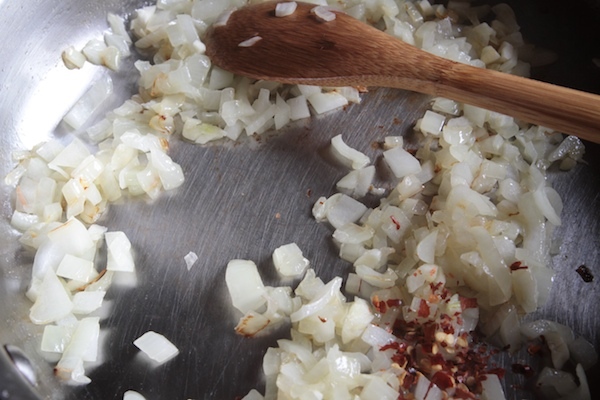 Stir in freshly grated nutmeg, and season with a pinch of salt and fresh cracked pepper. Slowly stir in cream cheese and let it sit in the spinach mixture for about 5 minutes to melt and then stir into the spinach until well incorporated. 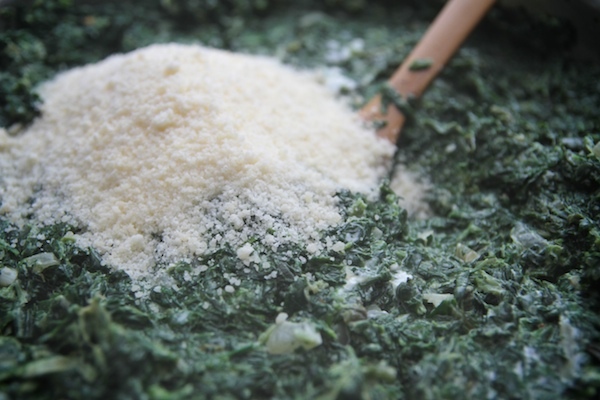 To finish the creamed spinach mixture, stir in 1 cup Parmesan cheese. 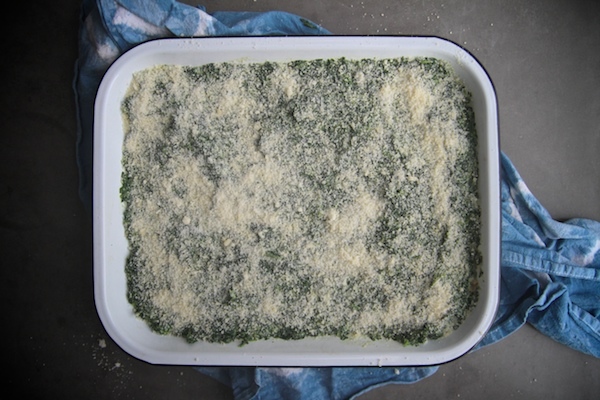 Transfer creamed spinach to a 9 x 13 inch baking dish and top with remaining Parmesan cheese. 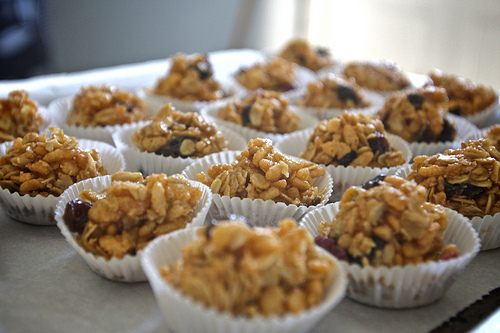 Bake in the oven for 30-35 minutes, or until mixture is bubbling and the edges are golden. Serve warm. Wondering what’s the best way to do this as a “make ahead” dish? 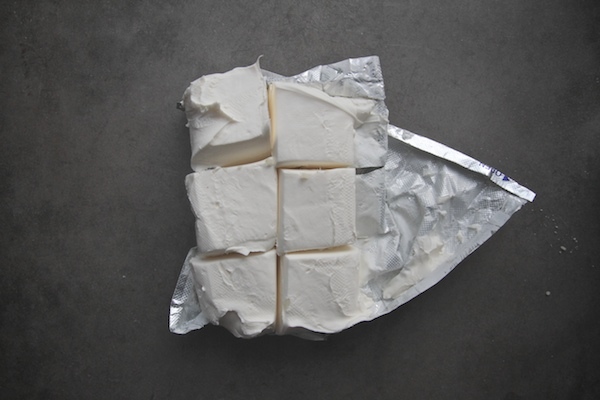 Let cool completely after adding the cream cheese and parm and then refrigerate until ready to bake? Would increase bake time I guess since starting from cold. Any tips to make sure it doesn’t loose the great texture? Oooh this looks so yummy! This is AMAZING to me! My (Italian) family has made a very similar version of this as our go-to stuffing, definitely for Thanksgiving turkey, but year-round for stuffed breasts, game hens etc. I never thought of it as creamed spinach! In our version the addition of sausage makes it an amazing dressing. 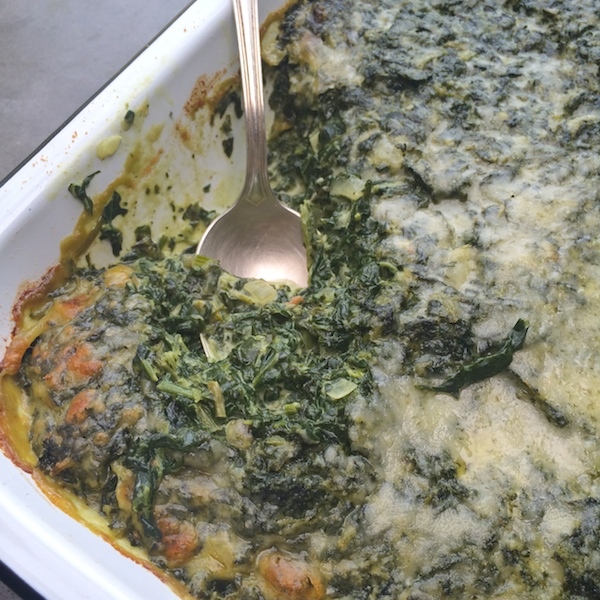 Thanks for sharing the recipe and your “spinach story! Oooh. So you put it IN your turkey??! Yes – but I admit the whole family loves it so much we always bake up a big dish in the oven as well! MMMMM! I am all for that crispy parmesan top too! This recipe looks yummy. Thanks for sharing! I was a barista during the tail end of the no carb phase, and I had customers order breve lattes, aka steamed half and half. Guys… come on. Not that I was opposed to adding a generous splash to an iced caramel macchiato, but a vente cup of steamed half and half? YIKES. On the other hand, I’d go no carb if I got to eat this glorious creation all the time. The nutmeg is really key to creamy dishes like this. I DID have one of those half & half lattes…and BOY WERE THEY RICH. Kinda heavenly…. Minus the onions and nutmeg and plus artichoke hearts, mozzarella, and alfredo sauce and you have my spin/art dip. I’ll be trying this with the combos you mentioned at the beginning though! Ooh this looks good. 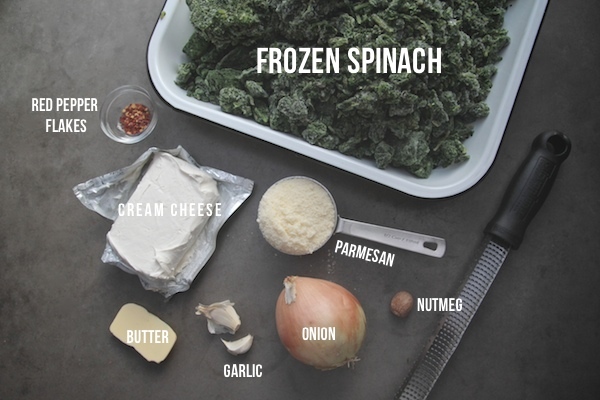 I love any recipe where you don’t have to squeeze the living daylights out of the frozen spinach. Does most of the water evaporate during the cooking process? Or should you leave some for maximum creaminess? The little stay in the oven takes away a lot of the moisture! It has a smooth consistency- and totally not WET. Ohy goodness. I want creamed spinach so much right now. It’s gonna kill me until I can make a batch! 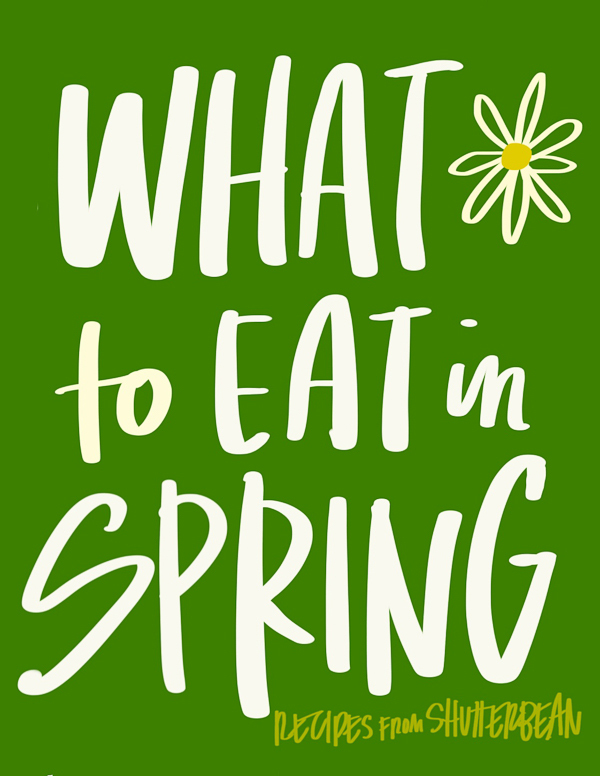 It’s definitely worth a try, but from my experience, using fresh spinach will make a completely different consistency (and add a lot of moisture!) to this recipe. I’m also not sure how many oz. your bags are, but I do know that spinach shrinks up like CRAZY and the rest of the ingredient amounts will have have to be adjusted accordingly. Oh really? You should try it. I have a major mental block with hollandaise sauce….I try it every few years. tried it last week and my mental block has not changed! Not down. at least we try, right??! Um… the only thing I’ve been craving this pregnancy is alcohol and creamed spinach. At least I can have one of the two. Printed it out! Thanks. C.
I saw your instagram picture on the food prep you did this weekend! Could that become like an every monday morning post? lol I LOVE your ideas for food prep and its so awesome for moms! Have you checked out my Meal Prep Post? Looks amazing Tracy! I love the idea of adding artichoke hearts mmm yeah! Oh! And how about sun dried tomatoes?!! This spinach sounds so good! 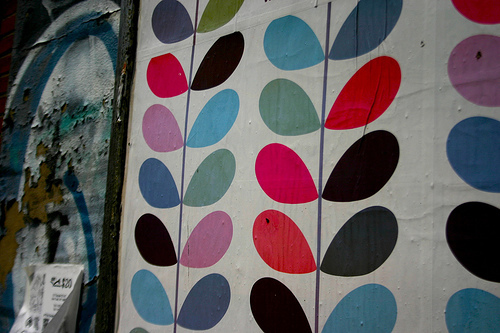 Lovely and rich and unctuous. Oh my! I’ve never had creamed spinach, but that looks so warm and…creamy 😉 Looks delicious!! Yep, I’m making this for Thanksgiving dinner for sure! I love that you used cream cheese instead of heavy cream…YUM! I can’t understand how something that has two cheeses in it can go out of style. I actually rarely have eaten creamed spinach since it’s a not a common thing my Indian mom knew how to make! But I can see it being awesome with some pesto, fresh black pepper, and spread over toast for breakfast! How’s that for useful leftovers?! Ahhh the BEST. This looks dreamy! I must make it soon! I went low-carb for six weeks once (I was studying dietetics at uni so I “had” to try all the new diets) – and I was the most awful human being to walk the planet. It all came crashing down in one chocolate chip cookie binge, and I have gladly been walking the path of a carb lover since. This creamed spinach will pair beautifully with some crispy baked potatoes on my vegetarian table for sure 🙂 Thanks Tracy! Oh I am loving this. I have been living in the US for quite a few years now, but CREAMED SPINACH has been one of those elusive American things (actually, I am not sure if it’s an American thing, but that has been my impression…darn, now that I really think about it, I guess it’s probably French, although they’d never use cream cheese…Ok, so I’m gonna pretend it’s American) that has just amazed me. 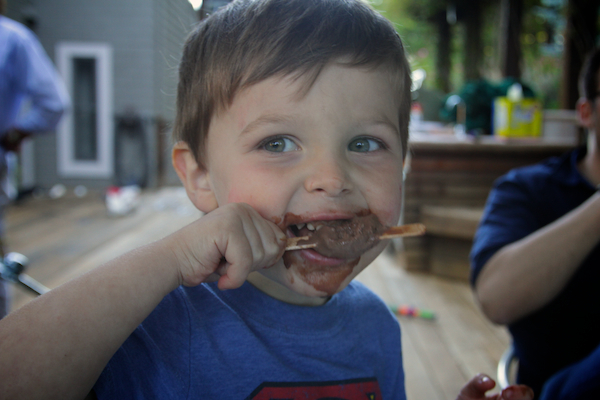 It’s the same with the chocolate covered pretzel. I am just never sure if it’s really possible. 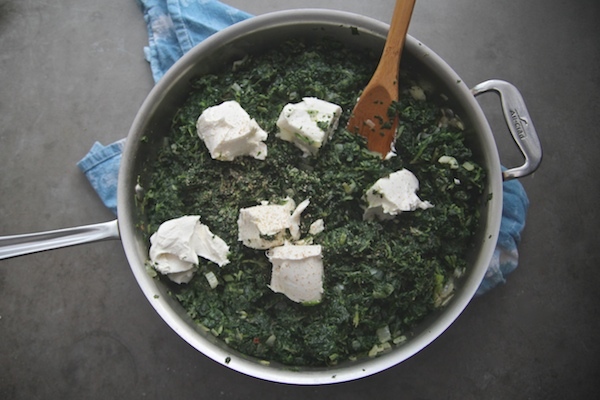 But I am SO making this creamed spinach now! Such simple ingredients and what a fancy and fun result. Looks delicious!! I subbed creme fraiche for the cream cheese and it was amaaaaaaaaazing with a poached egg and half an avocado. Utter indulgence. Made it, love it! Sooooo good and it was just what I was craving. I will also be adding to my eggs and eating on toast. So many uses, thank you! this looks sooooo good. 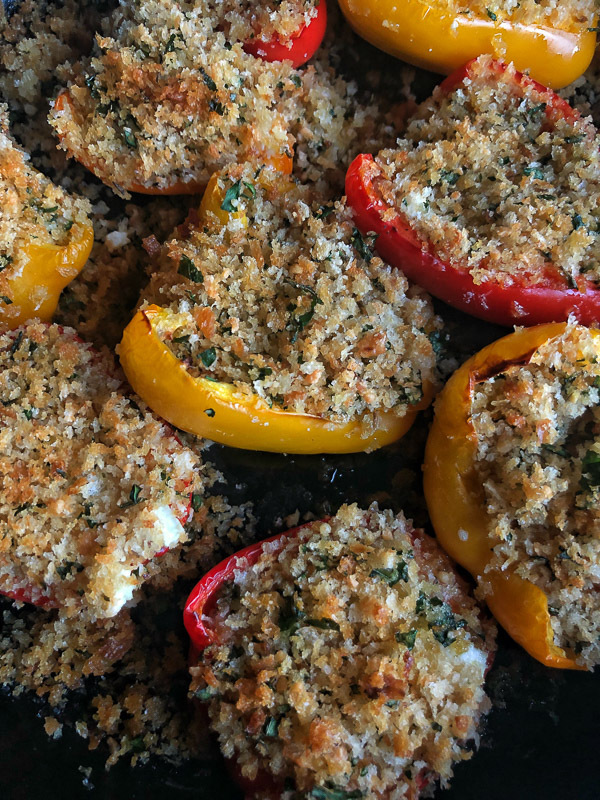 my sister-in-law makes a similar dish, but with spinach and broccoli, and stuffing crumbs on the top. i might have to have her add cheese on the top at thanksgiving this year! Oooh I think I had something like that once and it was amaze. WINAMP!!! I haven’t thought about that in such a long time. Things were so much simpler back then. I totally want to go on a creamed spinach bender now. This looks amazing, thank you for sharing!! I was wondering if anyone knew what I was talking about!!! Wow, so I made one-third of this recipe for my fiance and I, and man, we ate it ALL. I’ve tried other creamed spinach, but never really understood the appeal. 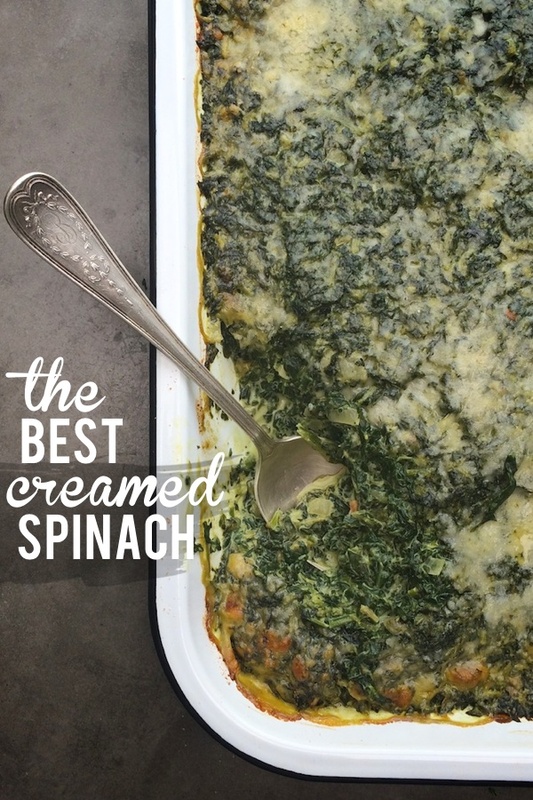 Now I know why some people love it because this really is the BEST creamed spinach!!! Hosting Thanksgiving for the first time this year! Between you, Joy and Deb I’ve got this in the bag. I’m wondering about the best way to prep this dish in advance. If I cook this today, do you think I could just refrigerate after assembling everything in the baking dish and then bake off tomorrow before we eat? This looks amazing! We’re going to include it on our Christmas menu (With prime rib). We’re serving about 22 people with a number of side dishes. Do you think we should have 2 batches? 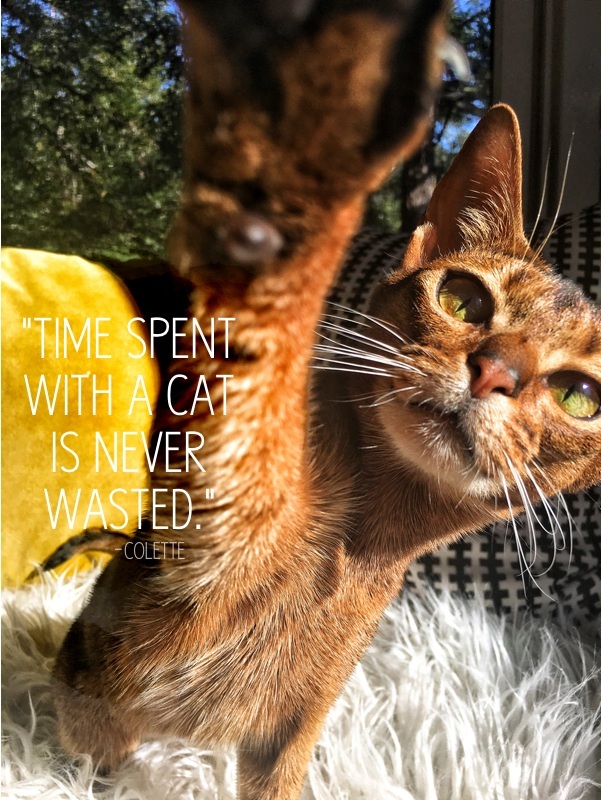 We don’t mind leftovers and definitely don’t want to be short. What do you think? I would double up for sure! Would I need to thaw spinach and squeeze out the water? I’ve had problems making creamed spinach in the past that was extra watery. Thanks. Nope. When you cook it a lot of the water dissipates. Also the little trip it takes to the oven helps with that too! Made it tonight. Didn’t change a thing, which is very unusual for me, and I absolutely loved it! Thank you for a great recipe! I made this on Thursday and again for dinner guests on Sunday! I’m mentioning this because one of the other commenters asked about using low-fat cream cheese; I used neufchatel and liked the result enough to make it twice in four days! I should note that I am not someone who normally does low fat substitutions; I just like neufchatel! So glad that it worked out for you. That’s a GREAT option. Oh yummy, I’m not waiting for Thanksgiving to make this! Thanks Tracy! Oh man. I WANT THAT!!!! 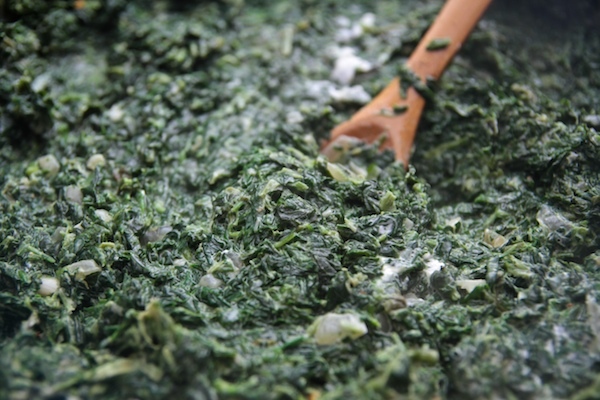 Have you ever tried adding boursin to your creamed spinach? It’s really good. I had never in my life eaten creamed spinach until I made this tonight. I have to admit, as it was cooking on the stove top I was dubious. All this creamed cheese just goes into this green mess?! Let me tell you, when I put it on the table Nick and I were raving about it as though it were a religious experience. How could I have ever doubted you?! YAAAAAY! 🙂 That cream cheese part always freaks me out too. You just gotta go with it! I made this last Christmas and loved it! I really want to make it again this Christmas, but I have no time the day before. How many days in advance do you think I could assemble this before baking it off? Planning on making this tonight paired with fried eggs and homemade biscuits. I ended up with 3lbs of frozen spinach in my freezer so this will be a perfect way to use it up! In another effort to clean out the fridge, I was wondering if you think I could substitute fontina for Parmesan? Given the extra moisture, I recognize I might need to broil it to get the desired crust on top. Thank you! I am sure it would be equally relish! After preparation could this dish be microwaved as I have limited oven space for dinner? Hey, tried this tonight, adding mushrooms with the sweating onions. But as I added the frozen spinach (first of two 1.5 lb bags), it confirmed what I had suspected: that’s a heck of a lot of spinach for balance with the other ingredients! We are not big spinach fans to begin with. 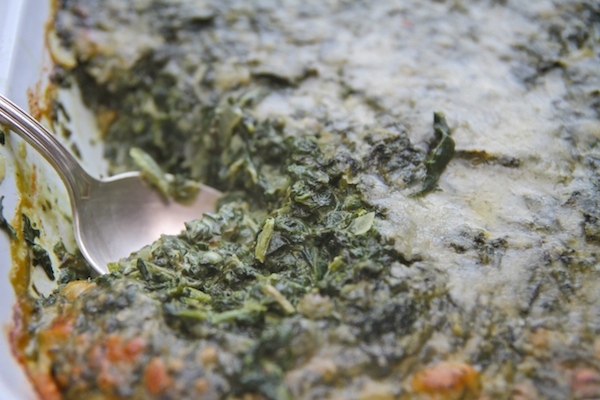 We like spinach dip (hot or cold), spinach in a salad, spinach pasta, but not boiled spinach, for example. So I made it with half the spinach and we loved it! So if you have other readers who are less than enthusiastic about cooked spinach, tell ’em to try it with 1/2 to 2/3 the amount called for in the recipe. Thanks for the recipe! 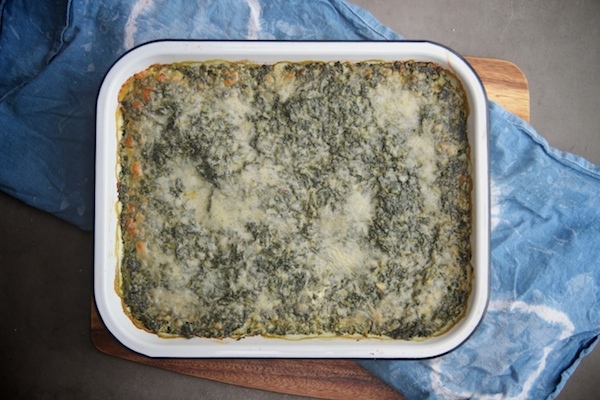 Can you make the spinach and then put it in the fridge and bake it later? I think you should be able to! Cover it really well! I was so skeptical about all the water the frozen spinach would release, but it really does evaporate pretty quickly. My husband raved about this, and I’ll definitely be making it again. Glad to hear you can make it ahead and then bake it off. Now i want to try stuffing a chicken breast with this and proscuitto. Yum.